A rightful contender in the modern renaissance that is Hyde Park, Bayshore Flats is located right on its iconic namesake Bayshore Boulevard. These one- and two-bedroom apartments have recently been upgraded with luxurious furnishings and finishes. You’ll love the open concept kitchens perfect for entertaining and they’re complete with sleek black appliances! Custom paint, tile & vinyl wood floors will welcome you home every day. We're pet friendly & smoke free! Our grounds are picturesque and feature tranquil greenery at every turn. 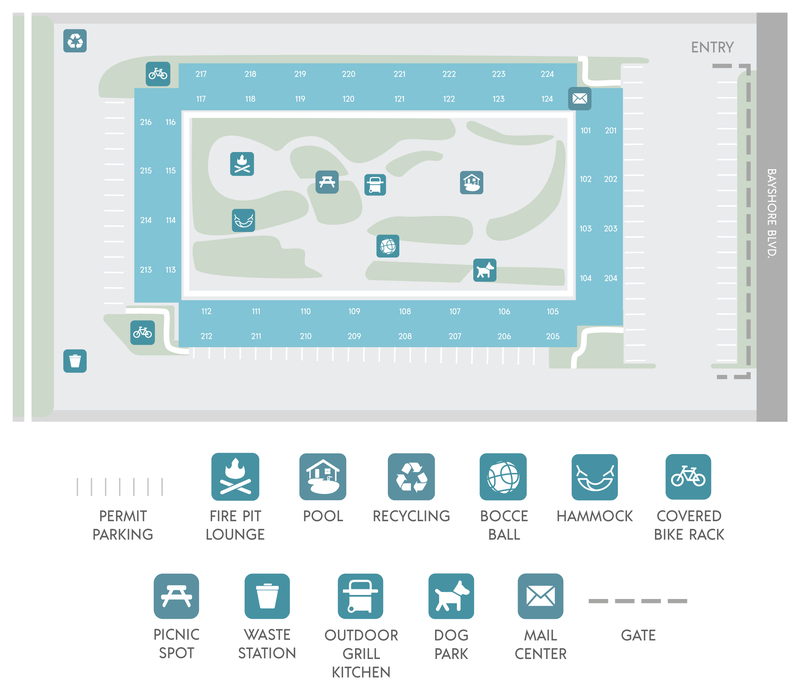 The tropical courtyard encases all of the amazing community amenities – swimming pool, outdoor grill kitchen, fire pit lounge, hammock posts and bocce ball. Our unbeatable location places you right next to the best dining and shopping around. You’re less than a 15-minute drive to Tampa General Hospital and the University of Tampa, making it easy to retreat or bask in the city and its splendor.